Everyone loves a good selfie, especially if your makeup is looking fantastic. 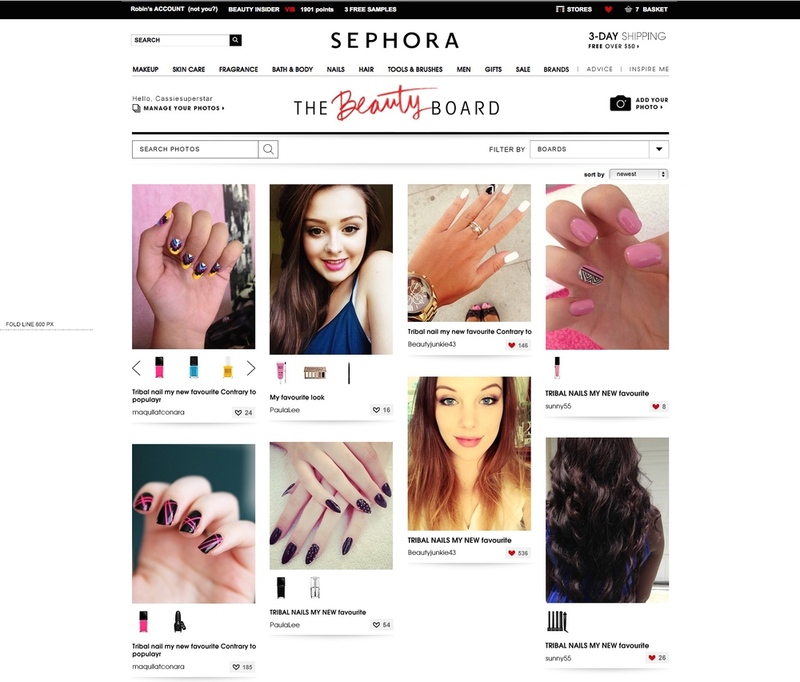 Sephora set out to own the selfie market when it came to beauty, overcoming the limitations of sites like Pinterest where only a single product could be tagged. 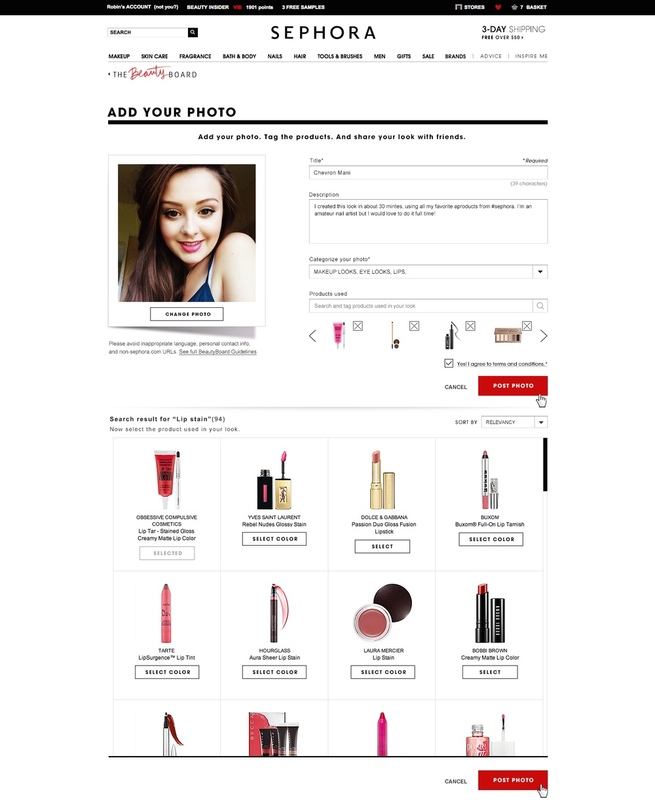 So we created our own social site where clients could upload photos, describe how they put together their looks, and tag all the products they used. 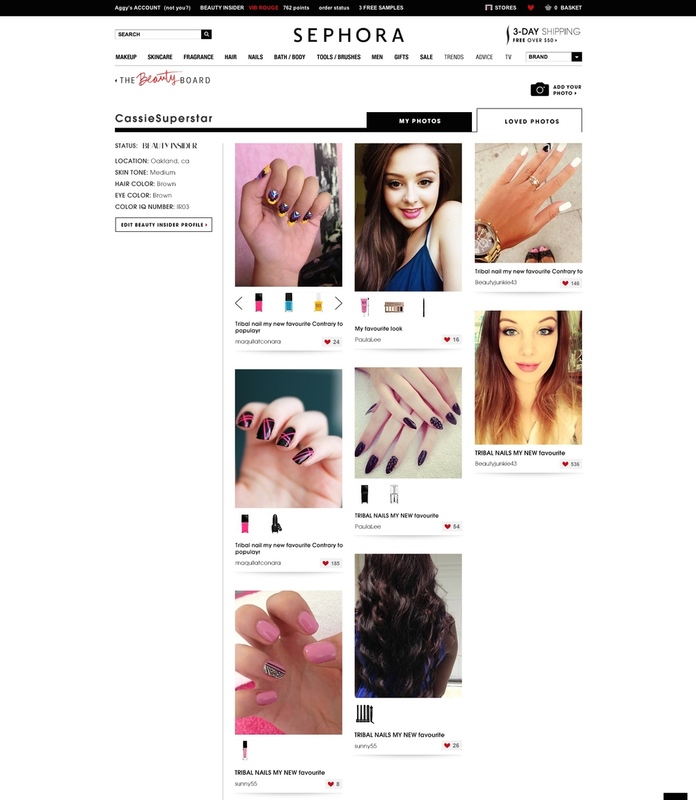 We also allowed other users to comment, love the looks, and add all of the products to their carts with a click. We built robust desktop & mobile versions of this new networking site from scratch, naming and branding the experience, writing copy for the UX and features, and promoting it to the public once it launched. It’s the perfect place to get inspired… and be admired. 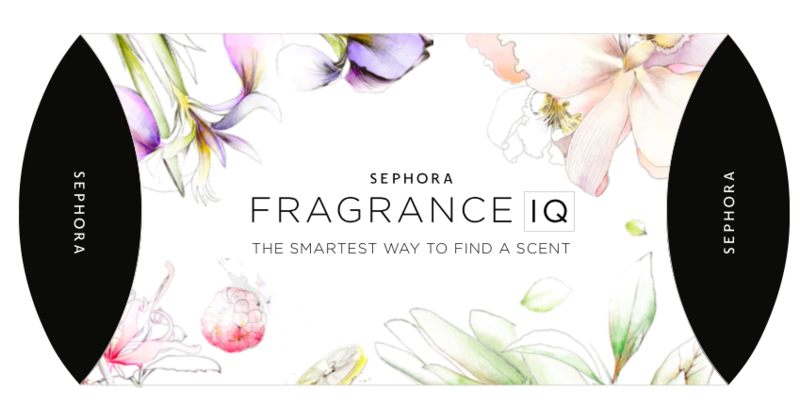 Finding the right fragrance can be difficult—especially when faced with an intimidating series of walls filled with bottle after bottle in a store. And even if you’re packing a full bag of coffee beans to clear your senses between sniffs, smelling them all poses quite the challenge. 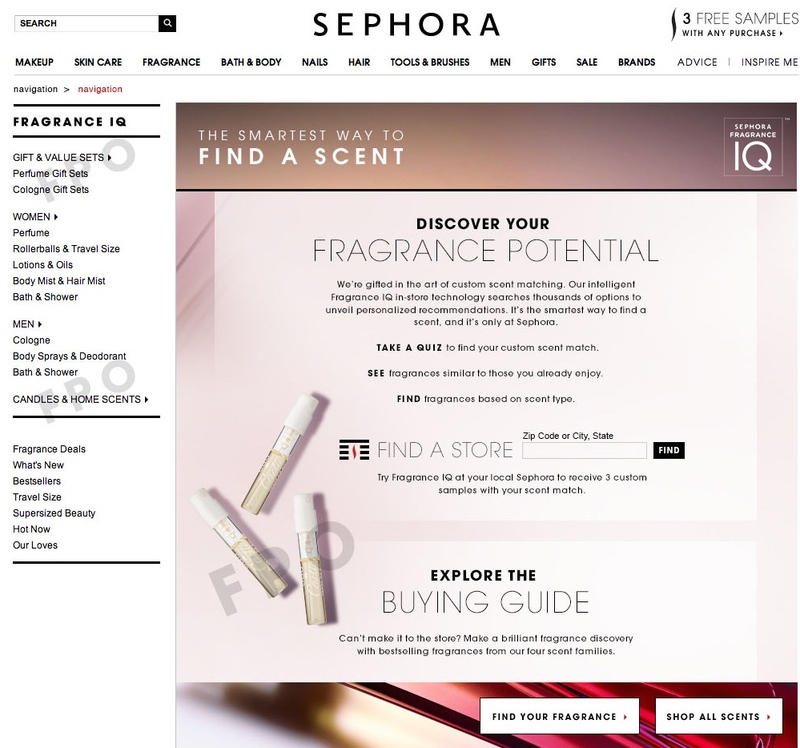 Sephora set out to demystify scent selecting and help guide clients to the right fragrance families, both in stores and online, through a new interactive digital experience. We created intelligent branding, tag lines and promotional materials, as well as all of the copy inside the experience itself, making the experience as user friendly and personable as possible. We also commissioned elevated illustrations to align with the scents and shot an opening screen video segment to hero out and romanticize the fragrance bottles. A smart, simple and stylish way to follow your nose. 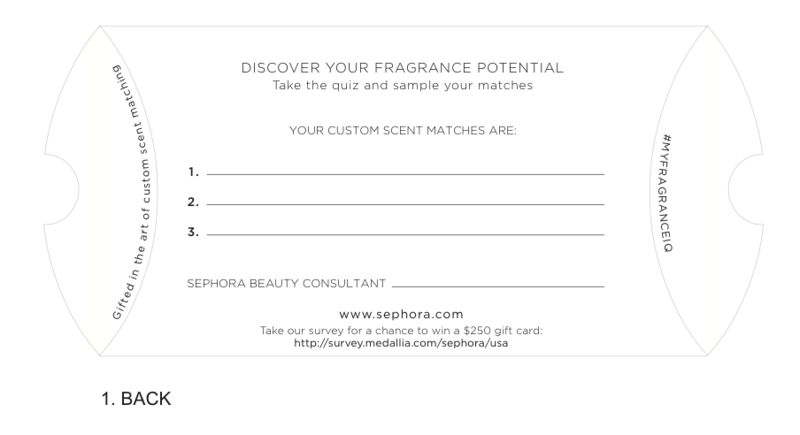 In 2014, Sephora’s Beauty Insider program got a makeover, including new templates, new illustrations, a new tier, and a new spin on the voice. 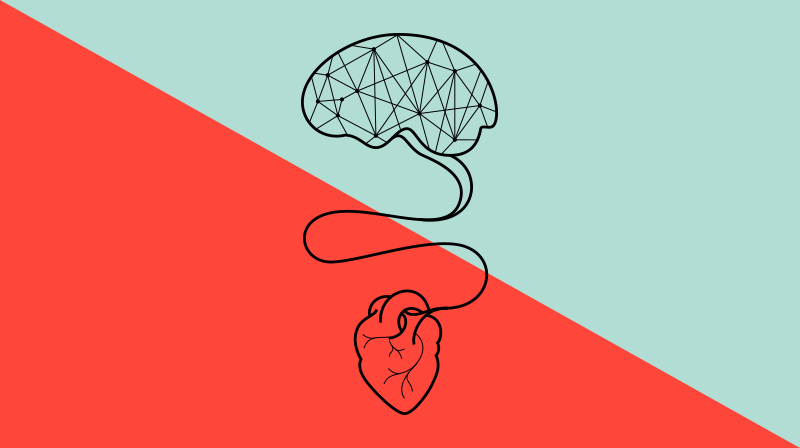 By focusing the language on beauty obsession and addiction, we elevated the program with a unique and playful perspective that engages clients across the channels. And with VIB Rouge, the new top tier level of the program, we learned how to speak to our most discerning audience groups in ways that were more personal and made them appreciate their status. While screaming neon lights keep the Las Vegas party going 24-hours, they also make it crazy difficult for classic casino properties to lure customers. In less than 7 weeks, we revamped the outdated websites for 3 of Golden Nugget’s properties with sleek and streamlined designs that raised the bar for casino sites and put Golden Nugget right in league with young and hip brands dotting the Strip. 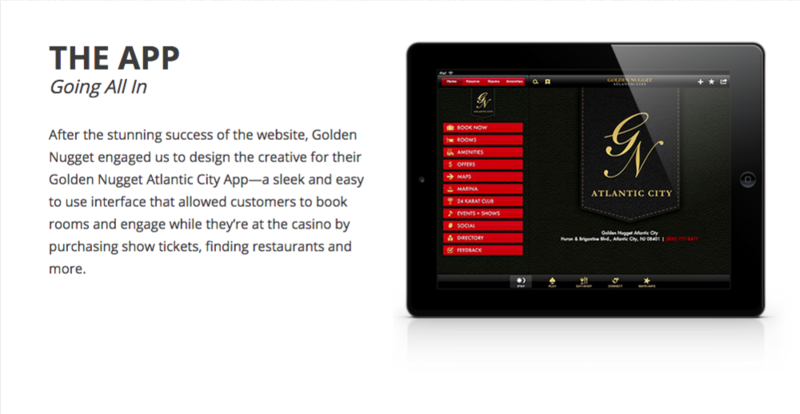 Then we added another dose of glitter—with an easy-to-use app designed to keep Golden Nugget top-of-mind. An article the guide Vegas Trippin’ put it best: Simply, these are some of the best looking, acting and feeling casino websites we’ve ever had the pleasure to sink our eyes into. The architecture of information, navigation, style, spirit and vibe is a perfect fit for the property and truly signifies a rebirth of the Golden Nugget as a brand on the ascension.